I’d been seeing this guy for a little bit, and it just wasn’t working out for me. You know how it is. Sometimes it just doesn’t click. After I started having doubts, I waited a couple of weeks, and then I wrote him a breakup text. I explained that I wasn’t breaking up with him because he’d done anything wrong and that he wasn’t a bad person or anything but that I just didn’t want to see him anymore. I also made sure to mention that I hoped we could be friends. The moment I clicked send, I was nervous. I didn’t know how it would go, if it’d be a long time before I heard from him again, but nope. He wrote me back right away. And I haven’t heard from him since. That’s weird, right? That’s not normal… just saying “okay” and nothing else? I’m going a little nuts over here. I figured he’d have more of a reaction. We weren’t together very long, but he seemed really into me. He’d told me that he loved me. We were making plans for the future including trips we were gonna take (part of why I canceled it when I did, I didn’t want to book them and then have to deal with refunds). It wasn’t just a casual thing. I keep wondering about it. Don’t you think he owed me more of an emotional reaction than “okay”? Some explanation. How he felt about it. Something. I’m so irritated. How am I supposed to get any closure? Those who initiate breakups can…experience feelings of uncertainty and that nagging sense that there’s unfinished business. Just because you know breaking up is the right thing to do, you don’t necessarily know why. Things can feel profoundly unsettled on both sides of a breakup. There’s a problem with this: Misery results when we stake our happiness on answers that others can’t or don’t want to provide. Closure isn’t a thing you get. Closure is a thing that comes and finds you. And only when it’s good and ready. Not on your schedule. Time can be a big part of the healing process. From your letter, I get the sense that this breakup is pretty darn fresh. I would be willing to suspect that hardly any time has passed at all. Even in breakup circumstances that are “ideal” for closure, ones in which everyone has ample opportunity to air and discuss what led to the breakup and where the relationship is going next (whether it’ll be no-contact temporarily or permanently or convert to a friendship), things can still feel unsettled. So it’s completely understandable that you’re not going to be there yet, especially given how little you have to work with. Unsatisfactory to You? Sure. Weird? Not Necessarily. Now, what your ex did was clearly unsatisfactory to you as a response, but does that make it weird? I’m not sold. And I also don’t think it means that you weren’t important to him. True, that could be the case, but I see a number of other competing explanations that are equally as likely and would explain his particular response. It’s possible that he was offended that he was dumped via text message (something that bothers a lot of people, although not everyone) and was basically done with you. It’s also possible that he simply didn’t know what else to say. That he was hurt, reeling from rejection. But that he didn’t want to leave you hanging, wondering whether or not he’d gotten the news (you said yourself that you were nervous once you sent it; it’s possible that he understood that you would be). So he acknowledged that he heard you and didn’t say anything else. Neither of these scenarios mean that he didn’t care about you. If you were concerned about his emotional state, I am surprised that you didn’t send any followup messages. True, you could be bothering him by doing so. Those outreaches could be unwelcome. But if so, all he’d have to do is tell you that in response, and then you could stop and leave him alone. 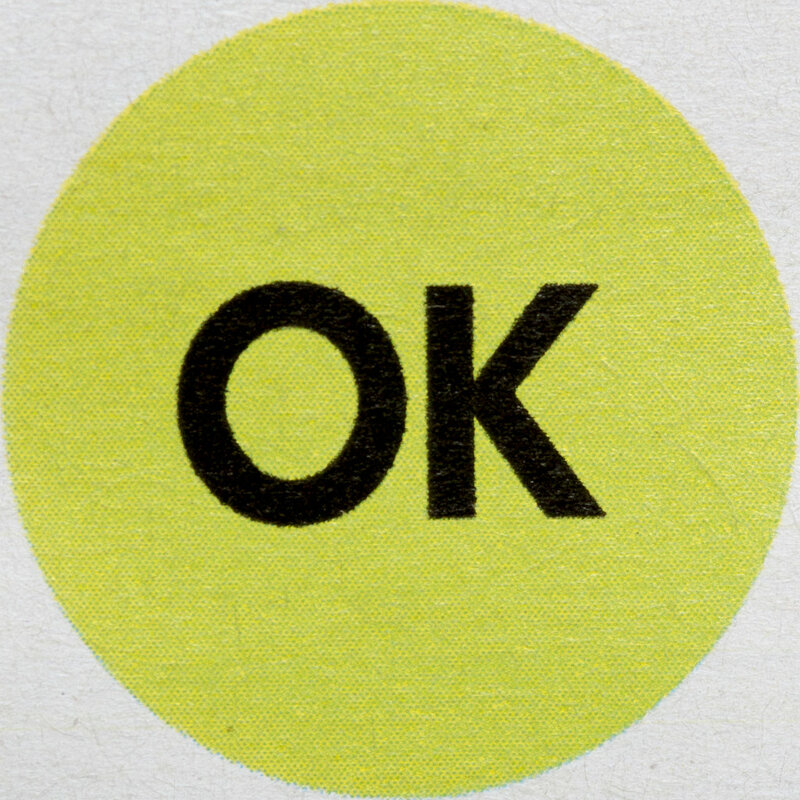 If you were genuinely bothered by the ambiguity of “okay,” I’m surprised that you didn’t take the minor risk of sending another message or two. Since, sure, it could go badly. But even going badly would give you a better sense of his emotional reaction. It’s strange to me that you would be irritated by the one-word answer and not inquire further from him. That you wouldn’t try to ask about something you really want to know. So do that. Write to him again. Ask him how he’s doing. That is, if you really want to know. If you don’t, then leave him alone. If you’ve ever been broken up with, I want you to take a minute and really lean into what you wrote there. But turn it around so you’re in his position. When someone’s dumping you, what’s your biggest concern? Is it making sure you’re giving them what they want emotionally? Do you feel beholden to performing for them? Exhibiting their desired emotional reaction? It’s an unusual person in strange circumstances with an unconventional sense of boundaries who can honestly say “yes” to this. For the rest of us, it’s a resounding no. That’s because when you’re getting dumped, it hurts. Experiencing a mix of rejection and grief (both of which are very idiosyncratic and affect people differently). And in all likelihood, a breakup is the moment at which a person feels the least beholden to their now-former-partner. So the assertion that your ex “owes” you more than what he said is a little suspect. Especially since you were the breakup initator. And I’m also puzzled why you chose to deliver the news over text message if you expected to be able to monitor his emotional reaction. Now, perhaps you didn’t know that you’d feel this way, that you needed a sense of emotional closure from a person you broke up with. It’s possible that this reaction of your own completely took you by surprise. If that’s the case, take that as a lesson for the future: If you can’t deal with emotional ambiguity in response, don’t break up with someone over text message.